Sony vaio comes preloaded with a utility called Vaio Smart Network, which controls the power status of the Wifi and Bluetooth radios. This is enabled only when the Wireless button on the laptop is turned on. So in order to turn on Bluetooth or Wireless, first slide the button on the front of the laptop towards the right hand side. Now you can enable the Wireless or Bluetooth as shown in the screenshot below. 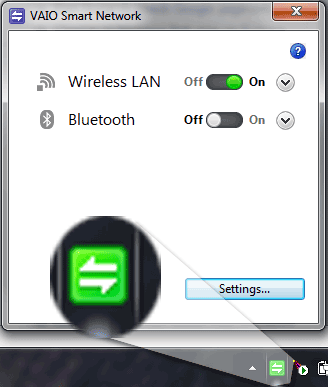 The Wireless green icon is present in the task bar. (Right bottom of the screen) . But sony vaio smart network icon is missing ! 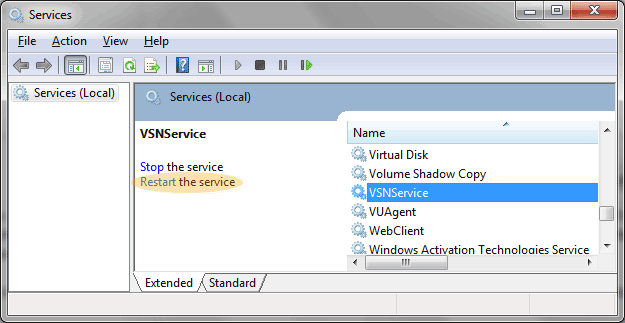 Find VSNService and click Start or restart . See the image below for details ..